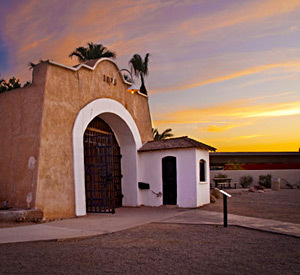 The prison opened in 1875 and is on the National Register of Historic Places in the Yuma Crossing National Heritage Area. The site housed 3,069 prisoners during its 33 years. The last prisoner left the prison in1909 for the new Arizona State Prison located in Florence, Arizona. This is a must see during your visit to Yuma Lakes.